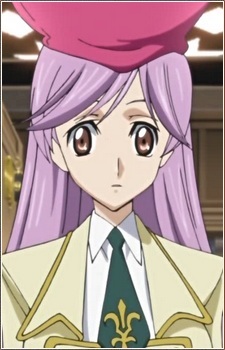 Miya makes her appearance in Code Geass R2 episode 12. She first finds Lelouch in the library during Milly's event "Cupid's Day", and claims him as her own. Unfortunately she is geassed, and is later seen in Ougi and Viletta's wedding photo in the final episode.